Author Shridhar Damle talks to Kaveree Bamzai about one of the most contested stories in our national narrative: RSS and the assassination of Mahatma Gandhi. Shridhar Damle, the co-author of The Brotherhood in Saffron: The Rashtriya Swayamsevak Sangh and Hindu Revivalism, along with Walter K Andersen, is one of the leading authorities on the RSS. In this interview with Kaveree Bamzai, he answers some questions on the relationship between Nathuram Godse and the RSS, as well as the RSS and Hindu Mahasabha, as the defamation case against Rahul Gandhi threatens to reopen one of the most contested stories in our national narrative: RSS and the assassination of Mahatma Gandhi. Q. What is the relationship between the RSS and the Hindu Mahasabha? A. The Hindu Mahasabha encouraged and helped to establish branches of the RSS in western Maharashtra, Delhi, Punjab and other places. They hoped to use the RSS as a youth wing, which the Sangh refused. To achieve its goal of organising the Hindu society, the RSS wanted to have friendly relations with the Hindu Mahasabha, which was ideologically closer to it than the Congress party, Arya Samaj and Sanatan Sabha. Nowhere did the CID report mention that Godse met Veer Savarkar in January 1948. Veer Savarkar had transformed, through sheer force, the Hindu Mahasabha, founded by Lala Lajapat Rai and Pandit Madan Mohan Malaviya. Q. Was Nathuram Godse part of RSS or Hindu Mahasabha? A. Nathuram Godse was in the RSS till the Hyderabad satyagraha was launched against the Nizam state in 1938-39. Like other Hindu Mahasabhaites, he wanted RSS' participation in large numbers. The Sangh refused to join the agitation as well as the Jungle satyagraha (counterpart of the Salt satyagraha in Vidarbha). He followed Savarkar's advice (according to Savarkar papers at Nehru Memorial Museum and Library) and, in May 1943, with help from other young Hindu Mahasabhaites, especially Narayan Apte (who was also hanged for Mahatma Gandhi's murder), formed the Hindu Rashtra Dal, which was active till January 1948. Q. Savarkar is a BJP icon, so how can the party distance itself from him - the founder of the Hindu Mahasabha? A. RSS, BJP and the Parivar organisations respect Savarkar and consider him a great patriot, and admire him for being an ideologue of Hindutva. But to the BJP, Hedgewar, SP Mukherjee and Deen Dayal Upadhyay are icons. 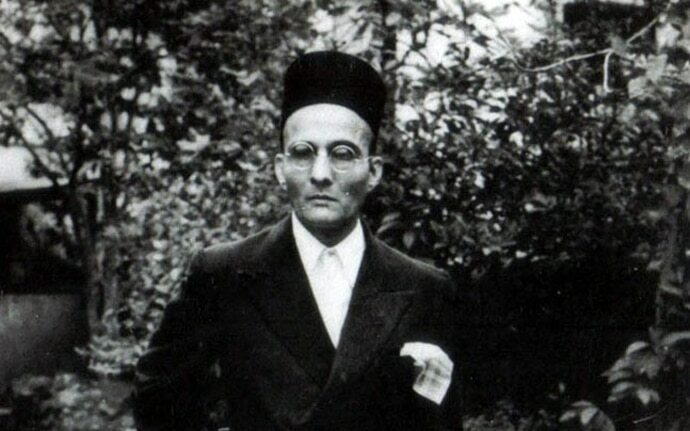 The rationalist and anti-caste social reformer Savarkar, in addition, suffered the stigma of being one of the conspirators in the Gandhi assassination, and even though Savarkar was acquitted by the special Red Fort court and the government of India did not challenge the decision, he makes BJP and the Parivar nervous. On the third floor of National Archives in Delhi, there are 10 CDs about the Gandhi assassination case, which include police commissioner JD Nagarwala's police crime diaries. Nagarwala was in charge of the Gandhi murder investigation. Savarkar was put under police (CID) surveillance since January 1925. Nowhere did the CID report mention that Godse met Veer Savarkar in January 1948. Even the government-approved witness, Digambar Badge, denied meeting Savarkar to Manohar Malgonkar, the author of The Men Who Killed Gandhi. He told Malgonkar that he (Badge) lied to save his skin from police brutality. Life magazine assigned Manohar Malgonkar to write an article on the eve of the 20th year of the Mahatma Gandhi assassination. Manohar Malgonkar met members of the conspiracy who served prison terms and since all of them spoke the same language, Marathi, it was easy for Malgonkar to speak to them. Q. What about the Kapur commission that revised the exoneration of Savarkar? A. After the release of conspirators, Gopal Godse, Vishnu Karkare and Madan Lal Pahwa, at time of Satyanarayan Puja, former Hindu Mahasabha All India General Secretary and editor GV Ketkar disclosed that in spite of caution from Godse/Karkare, some people had advance knowledge of Godse's plan to kill Mahatma Gandhi. After an uproar, the government appointed a commission of inquiry under former Justice Gopal Swarup Pathak. Due to his selection as vice president, he was replaced by former Justice Jeevan Lal Kapur. It was an inquiry commission with specific guidelines to find out whether certain people were aware of Godse's plan and what action the then government of Bombay and police officers took. Regarding Kapur commission's comments about Savarkar, based upon former bodyguard Ramchandra Kasar (his pet name was Appa) and secretary Gajanan Damle (no relationship with me! ), they did not depose before the Kapur commission (Vol 2, part 4; pages 317-318). It was well known that the police used third-degree brutality to extract statements. The basic question was why didn't the government produce Kasar and Damle as witnesses in the Atmacharan court? Because the government lawyers were afraid they would turn hostile and complain about police brutality. Even the court had authority under Code 540 of the 1898 law to examine Kasar/Damle, which was not done. The government also did not call American Marine Herbert "Tom" Reiner who caught Godse, or the nephew of then Congress Minister Takthmal Jain of Madhya Bharat ministry (1948), who claimed to have heard four shots, or the person who sold the pistol to Godse at Gwalior. Q. And what about the ban on RSS by Sardar Patel? A. At the November 1947 meeting of chief ministers and the home ministry, a discussion was held on whether to ban the RSS. There was fear of the goodwill RSS had among people, especially communities such as Punjabis and Sindhis. It was decided to watch the activities of the RSS and wait for the right moment. There were two schools of thought in the Congress party. One led by Sardar Patel, J B Kripalani, Purushottam Das Tandon (Lal Bahadur Shastri and Charan Singh belonged to the Tandon group), Dwarka Prasad Mishtra, and the other was led by Mahatma Gandhi, Pandit Nehru, J P Narayan, C Rajgopalchari, G B Pant and others. Sardar Patel wanted the RSS to merge with the Congress party. RSS, under Golwalkar's leadership, tried to have a dialogue with pro-Hindu Congress leaders. Many prominent leaders like KM Munshi were invited as chief guests to RSS events. Pujabrao Deshmukh, who later became minister in the Nehru government, Gangadhar to Deshpande, Karnataka Congress leaders were in touch with the RSS. Even Mahatma Gandhi addressed RSS swayamsevaks on September 16, 1947, which The Hindu reported the next day. In January 1948, Sardar Patel praised the RSS members as patriots, while strongly opposing Pandit Nehru, his secular followers along with the socialist groups. Gandhi's assassination was a blow to both groups within the Congress party. Against the backdrop of the assassination of General Aung San and six members of the interim government of Burma on July 19, 1947, Congress leaders of the Nehru government were in a state of shock and panic. So under pressure and based on IB reports, the government banned RSS, but not the Hindu Mahasabha. Due to the discovery of Apte's Christian mistress Manorama Salvi, the police felt that they could arrest Apte soon, but were worried about Vishnu Karkare, who could easily escape to Goa or the Nizam state of Hyderabad. In the first week of February, both Apte and Karkare were arrested in Bombay. Patel banned the RSS not because he had evidence of its complicity in the murder - his ministry had concluded that an extremist wing of the Hindu Mahasabha rather than the RSS had organised it - but because of his assessment that the RSS was indulging "in dangerous activities". Replying to the prime minister's letter urging him to ascertain the RSS connection in the case, Patel sent a categorical reply on February 27, 1948, less than a month after Gandhi's assassination, where he says: "I have kept myself almost in daily touch with the progress of the investigations regarding Bapu's assassination case. All the main accused have given long and detailed statements of their activities. It also clearly emerges from the statements that the RSS was not involved in it at all." At the same time, Sardar, being a shrewd politician, tried to squeeze concessions from the RSS, first demanding the allegiance of RSS' written constitution to the national flag, and later the national Constitution, which came into legal existence on January 26, 1950. While keeping pressure on the RSS and its members by the use of law and regulations, the police and the government machinery, Sardar Patel passed the blame to state governments and maintained cordial relations with the RSS leaders, covertly or through meetings. Without his consent, the Congress would not have opened the door to the RSS members. Nowhere in the Bombay CID report is there a mention of the meeting of Nathuram Godse, or Apte (let alone Badge or Karkare) with Veer Savarkar at Savarkar Bhavan in Shivaji Park, Dadar, where Savarkar was bedridden.